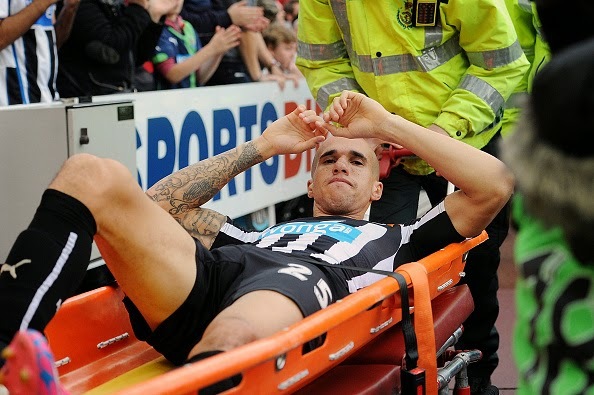 As with every season, some clubs will suffer more injuries than others. But this year in particular a few clubs in the English Premier League can't seem to shake the injury bug, facing opponents without key players in the lineup. Here are the top 4 clubs currently having a hard time putting together a healthy starting 11 on the pitch. (All lists are as updated by EPL injury list on December 15). Although Louis van Gaal's side is currently enjoying what can only be described as a brilliant resurgence with six straight wins, injuries have piled up at Old Trafford with the same amount of regulars currently sidelined as wins in United's streak. Fortunately for The Red Devils, four of the six injured players are due back before the end of the month with Chris Smalling, Angel Di Maria, Luke Shaw and Daley Blind due to return before the calendar turns its page to 2015. 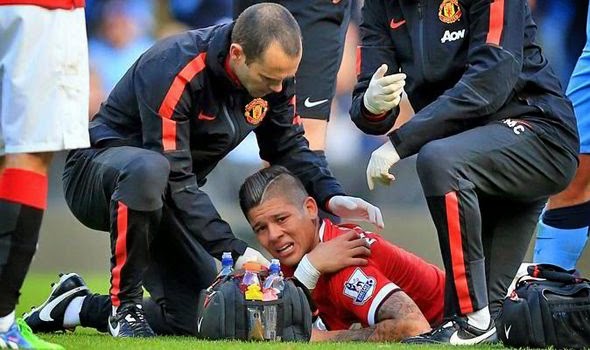 For 21 year old defender Tom Thorpe and Argentinian summer acquisition Marcos Rojo the news are not as good however. The two back-liners have no specific "due back" dates set, keeping van Gaal's defensive worries very much alive. With the same amount of injured players as Manchester United, Stoke City is number 4 on this list simply because of the "due-back" dates of their injured squad. Unlike United, The Potters will not be getting more than a single player back before the new year, with Bojan Krkić set to possibly return this coming weekend. Steve Sidwell and Victor Moses are on schedule for a return next month, while the real big injuries are to Spanish defender Marc Muniesa, Nigerian forward Peter Odemwingie and Brazilian/Slovak center-back Dionatan Teixeira all of whom are out with long-term injuries. Now we are getting to the two clubs with some serious injury problems, with Arsenal taking 2nd place on our list with 9 players out of their lineup. Fortunately for The Gunners however is the fact that 7 of the 9 are due back this month with the 8th (Mesut Özil) officially due back on the first day of the new year. The seven mentioned footballers due back within the next two weeks or so are Alex Oxlade-Chamberlain, Aaron Ramsey, Laurent Koscielny, Nacho Monreal, Tomáš Rosický, Mikel Arteta and Theo Walcott. The only injured player due later is Jack Wilshere who is due back some time in February. 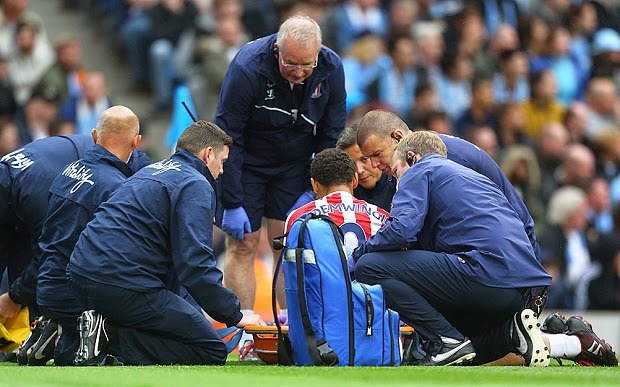 While 9 injured players may seem like a really bad thing, for Alan Pardew's side 9 may be a relief considering that just a couple days ago that number was in the double digits. But although The Magpies' injury list presents the the exact same amount of injured players as that of Arsenal, things are not looking as bright for the immediate future as that of The Gunners. Out of the 9, only one player is due back in the month of December, that being Algerian youngster Mehdi Abeid. 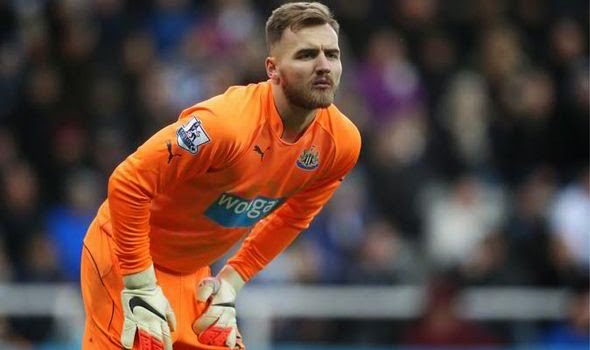 5 more are due to be back in January, that includes Newcastle's both first and second choice goalkeepers Tim Krul and Rob Elliot, which means that Newcastle is currently starting its 21 year old third choice keeper Jak Alnwick. The other three players due back in January are full-back Ryan Taylor, Dutch midfielder Siem de Jong and Italian left-back Davide Santon. Three of the nine injured players however have no return dates scheduled as of yet as it seems that Pardew is not sure how long he will be without defender Curtis Good, Frenchman Gabriel Obertan and talented young winger Rolando Aarons.